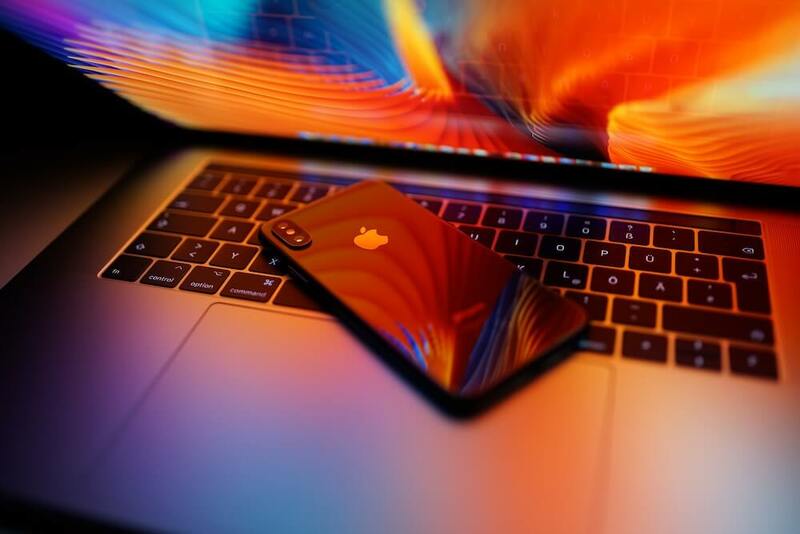 Influencer marketing owes much of its wave-making momentum to the persistent updates made by popular social media platforms. Whether that means rolling out brand new features, cleaning up communities, or fixing bugs, updates maintain the health and investment of the platform and user base influencers rely on. Instagram is far and away the most popular platform for influencers, and with good reason – its diverse set of features and active user base make it ideal for influencer marketing. This year, it rolled out several game-changing updates, in addition to scrubbing the platform of bots. 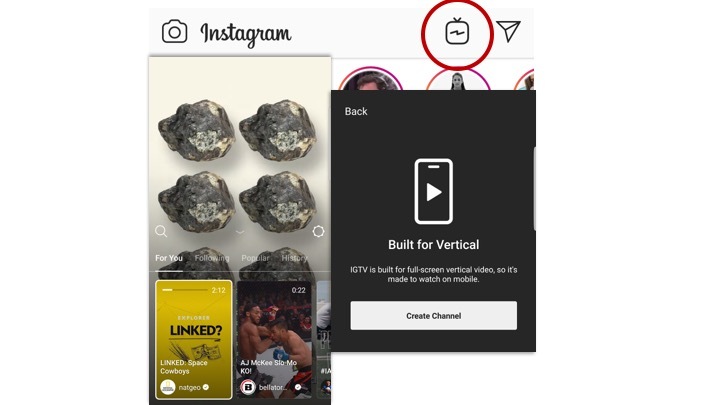 In June, Instagram rolled out IGTV, a long-form video content platform. IGTV enables creators and brands to publish longer and often more heavily produced content directly to Instagram. Though adoption is slow, IGTV is both a direct competitor to YouTube and a unique platform for content. Throughout the year, Instagram has updated its extremely popular Stories feature to include new fonts, searchable gifs and stickers, music clips and links to Spotify, and even posts from your feed. In addition, Instagram recently rolled out its “Close Friends” feature, allowing users to post stories for only specific followers to see. Adding variety to Instagram Stories has benefitted creators immensely, as they can now personalize their story content with less effort. Of particular value to influencers, creators can now add shoppable links for merchandise to Stories, whether it’s personally owned or products advertised for a brand they partner with. A common story for most major platforms this year, Instagram changed its API and algorithm to be more secure, favor newer posts, and push out bot followers and likes. Though Facebook’s year was marred by controversy and stock plunges, waves were still made on the platform for advertisers and creators. The most significant change on Facebook was the introduction of Stories to Messenger. They work in a similar way to Instagram Stories, except they live on the Messenger app (or Facebook’s desktop site). Facebook’s messenger-enabled hardware, built for video chat, is a popular gadget this holiday season. Portal’s rollout has featured prime-time TV spots emphasizing the connective power of Facebook. Given recent controversies, Portal is both a cool new gadget and a face-saving opportunity to reshape the news narrative around Facebook. Lip sync videos have been all the rage this year – the meteoric popularity of TikTok is more than enough evidence of this. Facebook threw its hat into the ring with Lip Sync Live, a new feature for videos on Live. Users can choose music from all three major music labels for a copyright-safe experience, and tag friends to encourage comments and engagement. In November, Facebook added lyrics to the feature, to give it more of a karaoke feel. In light of political scandals, Facebook issued a series of new and updated guidelines for community behavior. Chief among these changes is the way political pages are registered and disclosed. In addition, coordinated posts and behavior are now flagged as spam or propaganda. Facebook’s Brands Collab Manager, currently in beta testing, is a dashboard geared towards uniting influencers with brands they have an affinity towards. Its goal is to highlight influencers who are interested in brands or topics, or fit certain demographic criteria. Brands will be given “percentage matches” based on an influencer’s fit for their needs. YouTube has expanded its suite of features to be more creator-friendly, revamping its algorithm and monetization standards. In addition, it introduced a premium pricing model and new features to accompany it. YouTube started the year by changing the eligibility requirements for monetized videos. This changed the way creators were given access to ads from top brands, based on their performance, demographics, and content. 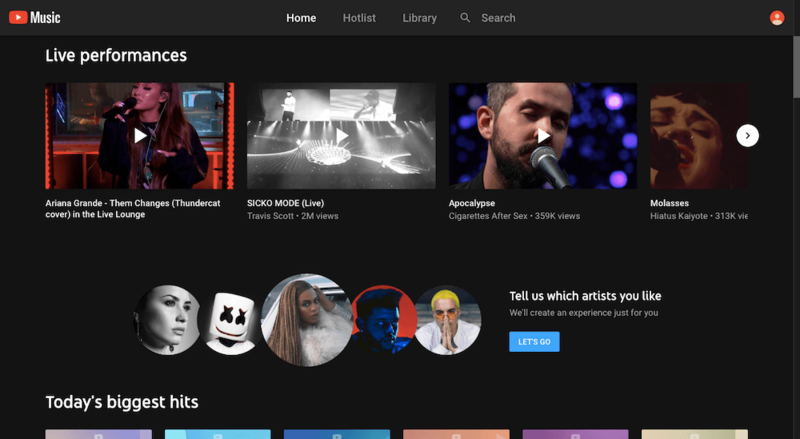 Earlier in the year, YouTube announced a rebrand of its “YouTube Red” premium service to YouTube Premium, and launched a separate service strictly for music, YouTube Music. Premium services include access to YouTube’s original content (though that will be scaled back by 2020), ad-free viewing, and background play. Having launched YouTube gaming in 2015 to take on Amazon’s Twitch, YouTube announced in September that it would migrate all content from its separate YouTube Gaming app to the main site by early 2019. With 50 billion hours watched and 200 million users logging in daily, the service should still thrive despite the shuffle. In an attempt to be more creator-friendly and in light of changes to video monetization, YouTube has expanded the number of ways creators can make money. Now creators can offer premium subscriptions to users (called “Channel Memberships”) and sell merchandise directly on their videos. Snapchat has lagged behind Instagram and YouTube as an influencer platform, but retains the attention of Gen-Z users. In March, Snapchat unveiled a UI redesign that drew the ire of its millions of users. The backlash was so swift and severe, Snap had to scramble to revert the changes and find a new way to present their intentions of making the platform friendlier to branded content and ads. In February, Snapchat opened up its marketing API to any advertiser or developer. This self-serve platform gives media-buyers access to vertical video ads, decreasing their need to rely on third-party vendors or creators. New features include the ability to save conversations, view friendship profiles, and even the Snap Camera app. Like Facebook, Twitter has certainly not had an easy year for celebrities or influencers. Political scandals aside, Twitter’s year predominantly focused on curbing abusive behavior, ridding the platform of bots, and improving the user experience. Though influencer marketing has a home on Twitter, its presence is not nearly as significant as other platforms. Twitter purged millions of bot accounts from its platform several times this year. Motivated both by the politics du jour and an unspoken truth that many of its active users are bots, Twitter set out to correct the record on its user activity. Twitter debuted several QoL features to improve tweet composition, threading, night mode, tweet length (280 characters! ), and Twitter Moments, which are curated stories about what’s happening in the world. Harassment and toxicity have been endemic to Twitter’s culture, so the platform has worked tirelessly to curb harassment while preserving its core functionalities. In September, Twitter announced a new policy addressing “dehumanizing speech”, updating its rules for tweet content, reporting, and subsequent punishments. Twitch’s ascension as an influencer platform was accelerated by Amazon’s acquisition of the live streaming social network. Being the platform that made Ninja and Fortnite famous takes a lot of work, and having expanded its categories, Twitch has done more than just corner the market on gaming streams. Twitch introduced new categories to better describe non-gaming streams, expanding on “creative” and “IRL.” In addition, a tagging system allows streamers to better describe their content. 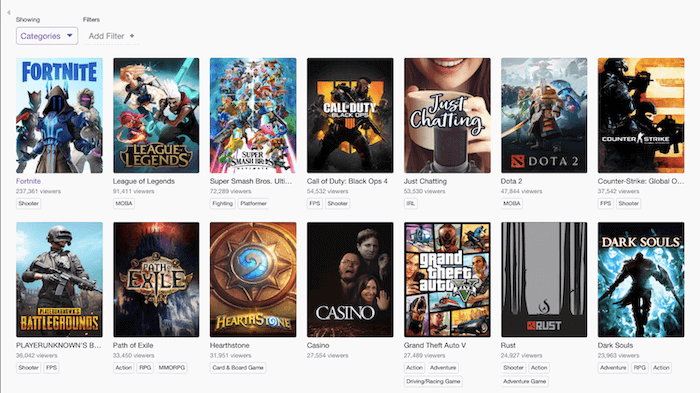 As a condition of their purchase, Twitch has steadily integrated features from Amazon, including Prime membership, Thursday Night Football streams, and Amazon shopping links. Live chat is perhaps the most valuable function of Twitch – viewers can discuss, interact, and communicate with the streamer as well as each other in the chat room. New tools like better moderation, VIP badges, and updated harassment rules for 2019 should help keep this function valuable. The future of influencer marketing is bright, and the social media platforms that support it recognize this. As many of the new features suggest, making communities friendlier and more transparent is just as much a priority as adding new tools for user experience. While some seek to monetize it for themselves, most are making their platforms friendlier for influencers, users, and brands alike to reap the rewards of social media influence. Let’s see what 2019 brings!